Jeff Lewis and Gage Edward Breakup, Gage Moved Out! 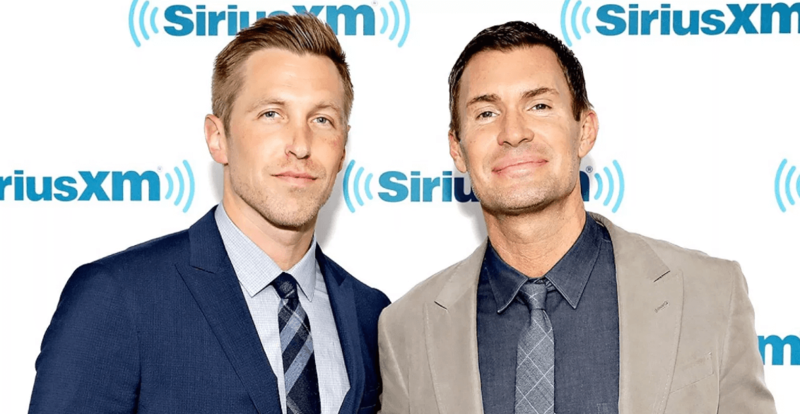 Jeff Lewis and Gage Edward have broken up after 10 years together. The Flipping Out star revealed the shocking news Thursday during his Sirius XM radio show, Jeff Lewis Live. Jeff shared that they had been living in separate bedrooms half of last year up until Wednesday, when Gage moved out of their house and into a hotel. “This has been a long time coming. We were in separate rooms a significant portion of last year, so it was kind of like a roommate situation,” Lewis, 48, said, explaining that the two had be trying to work through their problems. As far as custody of their two-year-old daughter, Monroe — the former couple have not ironed out details. “I don’t even want to go there,” though he did admit earlier in the program, “I’m now a single dad ’cause the baby is with me.” Jeff Lewis told a caller. Jeff Lewis labeled the state of their relationship as “friends with benefits.” While they were not sleeping in the same room, they often had sexual encounters, Lewis claimed, which he says, also made it hard for them to end things. A turning point happened at the beginning of the year when Jeff caught Gage looking for apartments. He went on to explain that his therapist has said that if the two were to try again, they would have to throw out their previous relationship and start over. “If this happens, I’m kind of excited about this courting process,” Lewis said. The interior designer blames communication and the couple’s 10-year age gap for the break down in the relationship. “There’s a lot of negatives with dating Jeff Lewis, but you always know where you stand with me. I dated someone who is not a good communicator. Has never been to therapy and has held things in for 33 years. It breeds a lot of resentment,” Lewis said. 2018 was a rough year for Jeff Lewis. His grandmother passed away in September, his long-term friendship with Jenni Pulos fell apart, his Bravo series was cancelled, and Jeff’s surrogate, Alexandra Trent, sued him. Share your thoughts on Jeff Lewis and Gage Edward’s split.